I have presented you with an Easter cake that will bring a smile to the toughest bunny in your bunch as you sit at the table and enjoy. Make memories that last through the years; remember good memories are the priceless gift you give each other. Be kind and be generous and fill your heart as you fill the hearts of others. Thank you to the Peeps Marshmallow Company for helping to make my Easter holiday delightfully sweet! **I was given these products for review. I was not financially compensated for this post. All opinions expressed are my own. Using the shredding blade of a food processor shred the carrots and set aside. Using a food processor combine the sugars, oil, milk, vanilla and the eggs. Stir in the carrots, raisins, chocolate chips and the flour. Prepare two 8 inch baking pans with butter and flour and pour the batter evenly into the pans. Bake 20 – 25 minutes or until the toothpick test comes out clean. Let the cakes cool before gently removing from the pan. In a small frying pan gently brown the coconut. 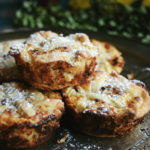 In a medium bowl, using and electric hand mixer, blend the cream cheese, butter, confectioners’ sugar, vanilla and salt until creamy. Place one cake on a cake plate or stand and frost the middle, top with the remaining cake and frost the entire cake. Place the toasted coconut around the sides of the cake. **Adapted from: The Lucky Santangelo Cookbook. Delicious. I only had one piece. I love a good carrot cake. Yummy. Catherine, your carrot cake looks fantastic! 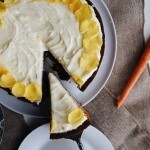 I love carrot cake and this look amazing Catherine!!! Happy Easter!!! To you and Tammy!! I like the new background! And I really like this cake - the peeps are so cute! What a great way to use seasonal candy in a gorgeous dessert, Catherine! Oh Catherine, your cake looks amazing! I love the addition of chocolate chips, they make everything better. :) Have a wonderful Easter! 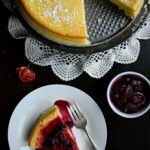 E' una torta deliziosa e molto adatta alla Santa Pasqua!! L'aspetto è molto goloso!!! Ti auguro una buonissima Pasqua Catherine!! Happy Easter to you and yours! This is a gorgeous cake! This is just the sweetest little cake! It looks yummy---I love the addition of chocolate chips, mmmm. Hope you girls have a great holiday weekend! 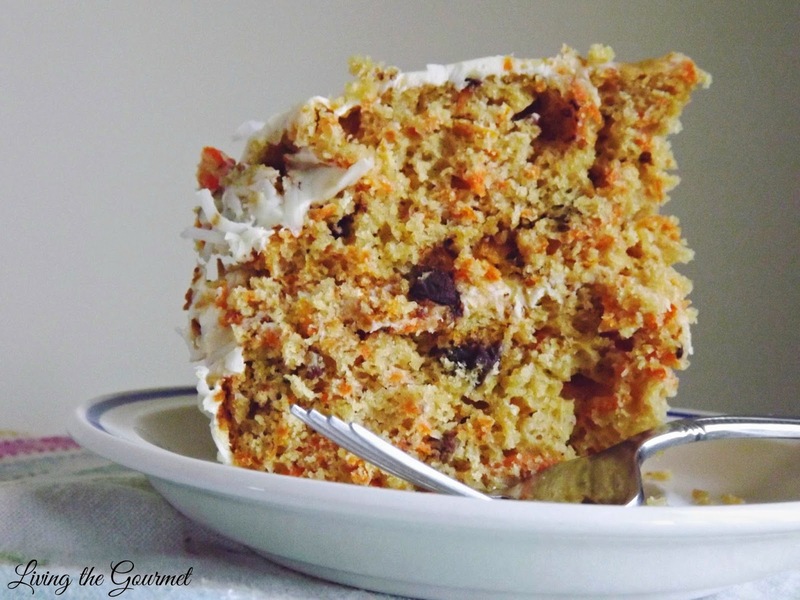 The use of chocolate chips in a carrot cake is very original. And the look is lovely! 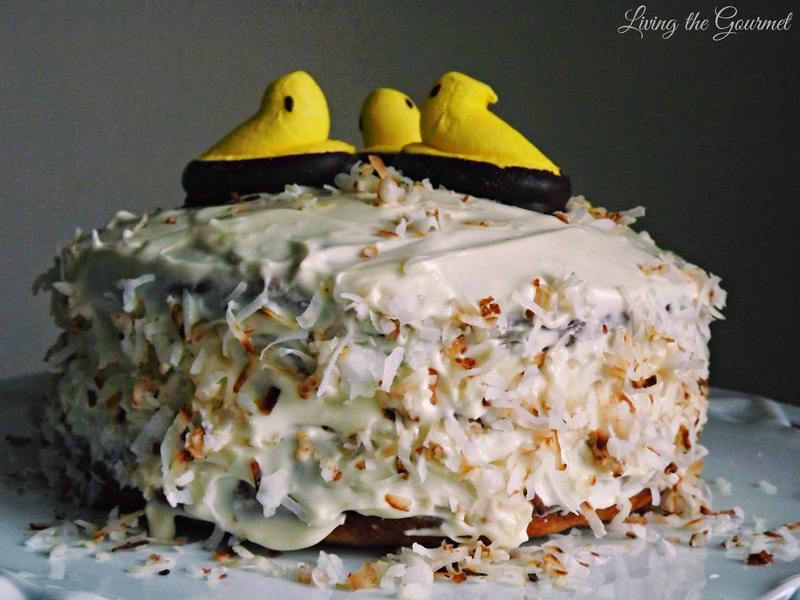 This carrot cake looks so cute with the peeps on it...perfect for the Holiday. This cake is gorgeous!! I was looking for an Easter recipe! Un PASTELITO de PASCUA.. super delicioso!!! Your carrot cake looks scrumptious, Catherine! 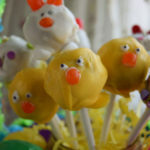 I love Peeps...fun to see them wallowing in the cream cheese frosting! That cake was stunning. Just gorgeous! Well I sincerely hope you have a blessed Easter. Tanti AUGURI DI UNA SERENA PASQUA! Wonderful CAKE! BEST WISHES FOR A HAPPY EASTER! This carrot cake looks wonderful! Pinned! This looks so delicious! Happy Easter! Gorgeous Carrot Cake Catherine! I so love Carrot Cake! I've never even thought to put chips in it what a GREAT idea! Marion would of course want the peeps, lol...she's quite happy knowing she's getting a chocolate bunny though. I better not show her your cake though, lol...Thank you so much for sharing, Catherine. Lots of lovely Easter ingredients... this cake looks gorgeous especially with the peeps on top! Peeps fan here couldn't be happier with your cake choice. 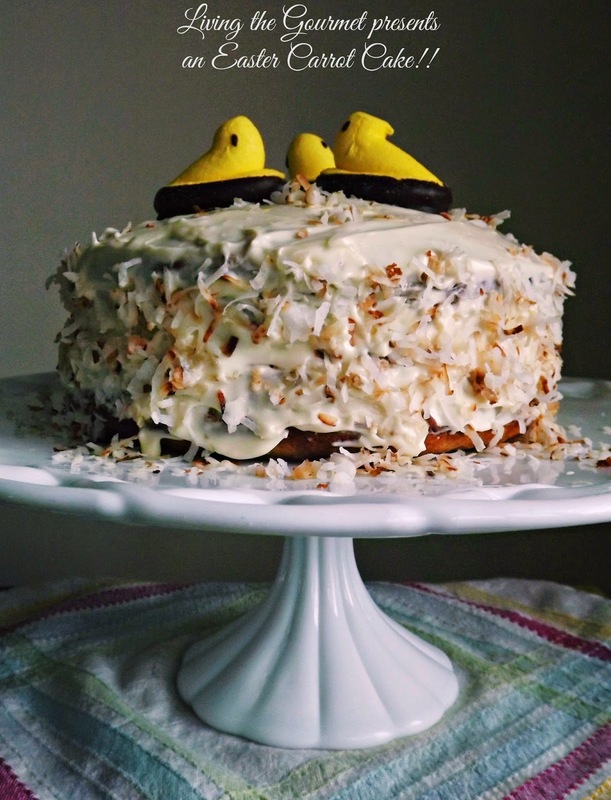 I love carrot cakes, but adding the Peeps makes it my favorite. Hope you had a blessed Easter. So glad spring has come our way. What a great Easter Cake, this looks delicious! 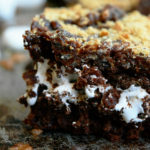 Hope you had a great weekend and thank you so much for sharing your awesome recipe with Full Plate Thursday. Have a good week and come back soon! Such a beautiful cake and I love the addition of chocolate chips and the peeps on top. Thanks for sharing this on foodie friday. Pinning. oh this looks fabulous! the toasted coconut makes it all the yummier!! 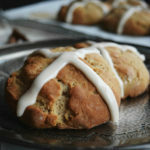 Your recipe is featured at Full Plate Thursday. Hope you have a great week and enjoy your new Red Plate!